Romeo, Romeo, wherefore art thou Romeo? A famous line from the pen of William Shakespeare. 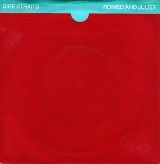 It’s fair to say that the Bard wrote in a conventional style often using drawn out metaphors that anyone copying or trying to replicate would may well struggle with, but that was not Mark Knopfler’s intention when writing the 1980 hit Romeo and Juliet. He just borrowed Willy’s names to tell the story of his own relationship breakdown. On returning to the UK, Mark used to visit his brother who had now moved to Deptford in south London, and one night ending up sleeping on the floor. The next morning, David’s flatmate got up and tripped over Mark, over breakfast Mark was introduced to the flatmate who was John Illsley. Within a year the three of them, and drummer Pick Withers had formed a proper band and called themselves Dire Straits, due to the sheer fact that they’d had no money for so long. John’s last £250 was spent on a studio which eventually led them to submit some quality recordings. In 1988, Transvision Vamp landed their debut hit single called Tell That Girl to Shut Up, which song was originally recorded in 1980 by an American new wave band called Holly & The Italians, led by Holly Vincent. That same year Mark and Holly became an item and their break-up a year later became the story of Romeo and Juliet. The line, ‘Come up on different streets, they both were streets of shame, both dirty, both mean, yes, and the dream was just the same’ refers to their join humble beginnings where they both had little money but both wanted to get to the same place. ‘There’s a place for us, you know the movie song, when you gonna realise it was just that the time was wrong, Juliet?’ the first bit makes reference to the opening line of the song Somewhere that had featured in West Side Story which, itself was based on Romeo and Juliet. If you thought you recognised the intro, then it may well be that you know Bruce Springsteen’s Jungleland, the epic track that closes Bruce Springsteen’s 1975 album Born to Run. The piano intro on that was played by Roy Brittan who is a guest keyboard player on Romeo and Juliet. The song was the stand-out track from the album Makin’ Movies which was recorded at The Power Station studio in New York City with producer Jimmy Iovine who had been the producer on Patti Smith’s Easter and subsequently went on to work with Stevie Nicks, Bob Seger, Simple Minds, U2 and the Eurythmics.